And it's official. 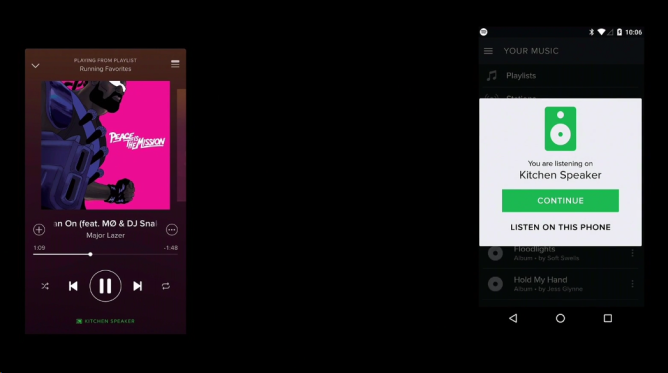 Google announced and showed off Spotify support during today's event, saying it's now available for the Chromecast and Chromecast Audio. 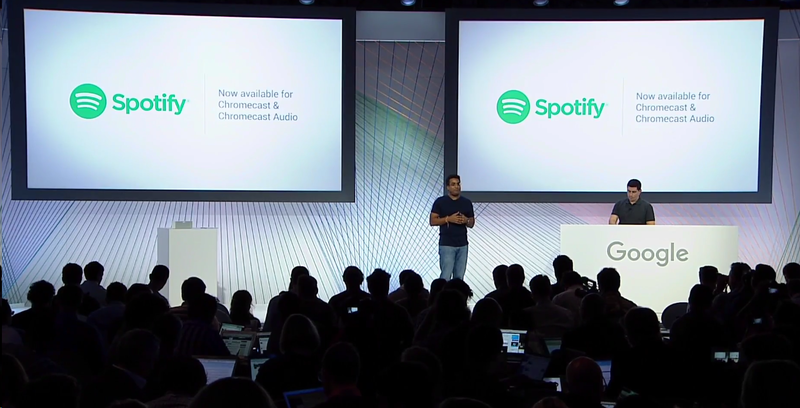 A few weeks ago 9to5Google ran a report saying that Google probably intends to announce Spotify support alongside the new Chromecast at today's event. 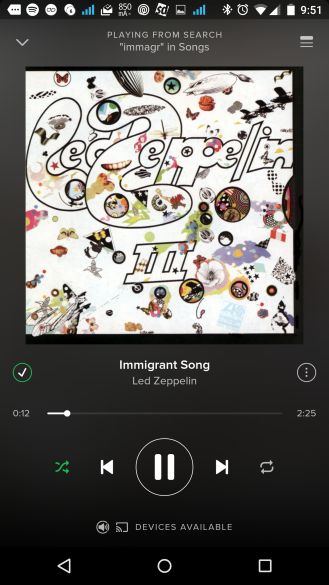 Now more evidence is out there that suggests this may be the case. A Spotify user has received an update that displayed his Chromecasts inside the Android app, and the interface then appeared on his TV screen. 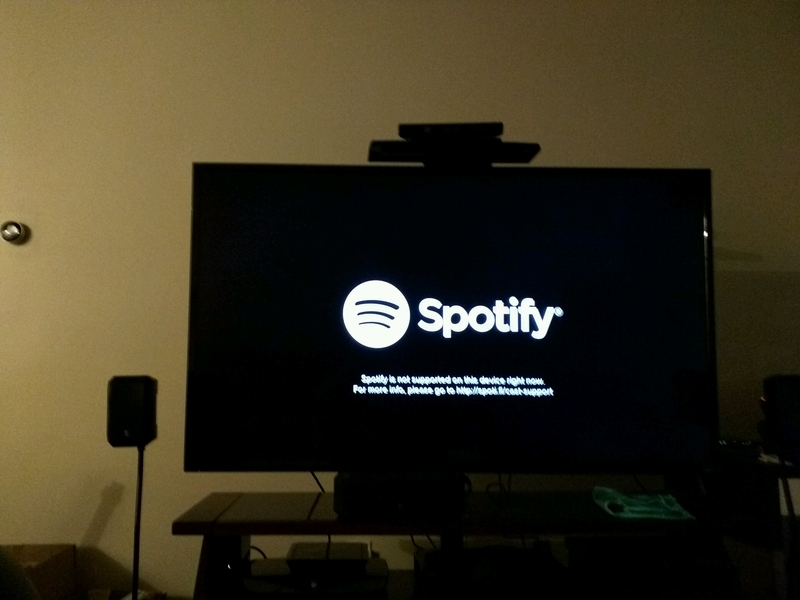 Unfortunately, the backend isn't enabled yet, so he receives the error message, "Spotify is not supported on this device right now" (pictured above). 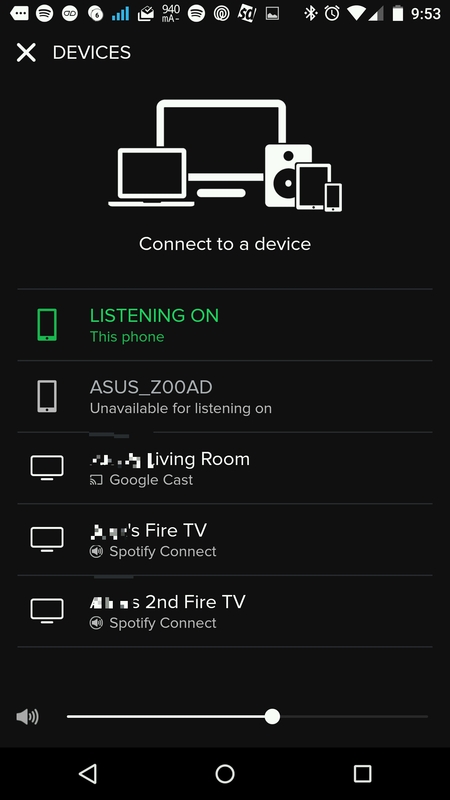 Spotify, which sits among the most popular music streaming services out there, is one of the most common requests we see whenever more apps start to support Google's little streaming stick and certain set-top boxes. Google's event is set to begin within the hour. Hopefully compatibility rolls out soon enough.